To more intimately familiarize you with the immediate-to-inner workings of Arcan (that almost sounds filthy), we’ll have a little series where we build a theme from scratch. 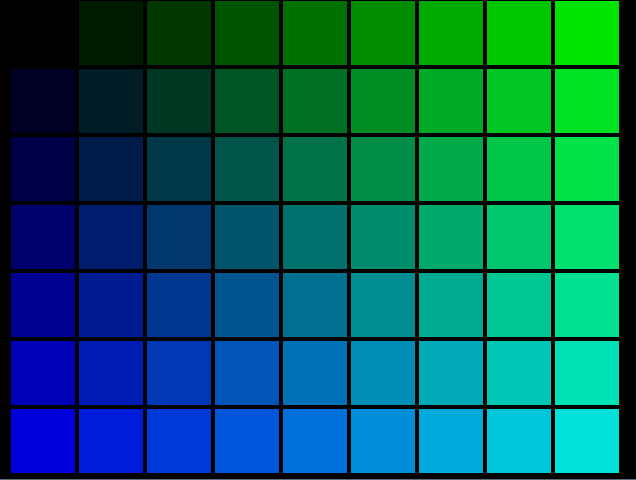 In the first part, we’ll get the pure basics up and running, meaning a grid with screenshots. In coming parts, we’ll add more and more bells and whistles to the whole thing. This assumes some pretty basic programming background for things to make sense, other than that, copy paste, modify and play around to try and figure out what happens. For starters, we’ll need to let the engine know about the theme, so create a subfolder in the theme folder, called gridle (for windows; c:\program files\arcan\themes in OSX, ~/.arcan/themes or, in Linux, either the /usr/local/share/arcan/themes, in ~/.arcan/themes or wherever you set the ENV variable ARCAN_THEMEPATH to (we can even change this as a command-line argument). In this folder, /gridle, create a new file in your favorite code editor called ‘gridle.lua’. In short, gridle() will be called as soon as the engine has finished setting up, gridle_input whenever a key is pressed, joystick or mouse is moved, and clock_pulse will be called at a fixed rate of about 25Hz (the actual rate is determined at compile-time, but is exposed as the CLOCK global variable). You should now be able to launch the theme using simply gridle as the command-line argument, and a nice empty large window will appear. First of all, we’ll set up some kind of static imagery, and worry about games, screenshots and so on a bit later. Since the user might have varying video resolution and aspect ratio (vertical or horizontally oriented screen), and we want to accomodate as large a crowd as possible, we’ll try and make this flexible. cellcount = 0;  -- # operator is wonky when you 0-index tables..
To go any further, we actually need to handle some input. This is a decently sized subject on its own, so to help you along, there’s a support script already included in the program (the fabled keyconf.lua). a. (line 5) load the support script and make the keyconf_create function available in the global namespace. b. (line 7) let the support script set up a new configuration session, designed for 0 players (can be overridden through command-line arguments), and a list of labels that we want to have defined. The r prefix specifies that the options is Required. Keyconf will also forcefully insert a MENU_ESCAPE label. c. (lines 8..15) remap the current input handler to an anonymous function which feeds the input to keyconf until keyconf says that it has finished configuration. Afterwards, the input handler is reset to the original one (the empty gridle_input we defined at the beginning of this guide). Now we may have input configured (and if you launch and complete a full configuration, it’ll be stored and reloaded next time, so you might only get the dialog once. If you want to redo the configuration, remove the themes/gridle/keysym.lua, alternatively add the forcekeyconf argument to the command-line after the themename. We also added a little handler (the MENU_ESCAPE) label, that will shut down the front-end whenever the button bound to ESCAPE is pressed. next up is creating some handlers for the rest of the labels we defined, along with a cursor indicating which grid cell is selected. So now we have a cursor that can be moved around between the different cells, what we’re lacking is content. For this step, we assume that the database is populated already (i.e. the included space / dishwater themes are working). a. somehow associate screenshots, flyers, etc. with each grid-cell. 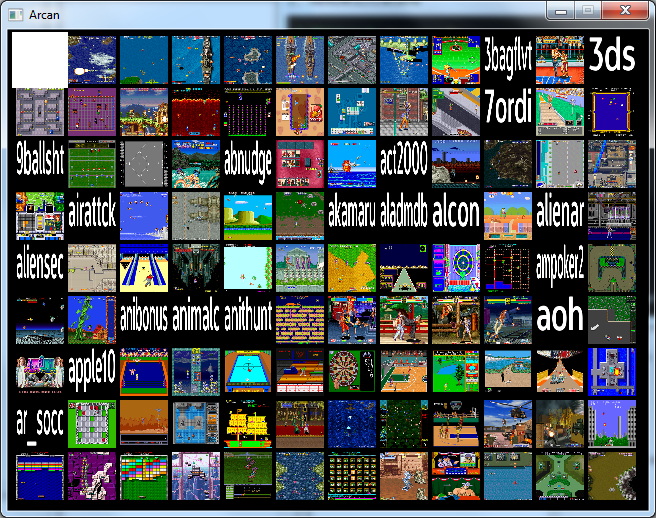 b. manage paging, meaning that when there are more games than can be shown in the current-grid. c. a minor visual tuneup or two. Then there are a few open challenges until the next part of this guide for you to play around with. But first, lets deal with a and b.
we, instead, just write the name of the romset as a text string. Still, we have the paging issue (aka. the mother of all fence-post problems). We’ll start by way of cleaning up the grid each time a page-swap occurs. Even though LUA garbage collects some resources when they are not used, this is not possible with all of the ones we work with, particularly the ones that arcan exports. That’s why we have to explicitly call delete_image(vid) or (for a delayed version) expire_image(vid, timer). Now for the big one, we have to change move_cursor() to take into account all different kinds of weird situations e.g. wrapping around (from last page to first, and from first page to last) and half-full pages in wrapping. if (cursor >= ncc) then -- move right or "forward"
1. Add a background image, and make it so the cursor blends better with the text. 2. Add support for a sound-effect when the cursor moves (play_sample). 3. Add support for changing the grid- size in-game via a configurable key. 4. Include Flyers and Marquees as either user switchable options or a fallback when screenshots cannot be found.